Each storybook albums is exclusively designed by Christy and Juliet in house. We do not send your images off (out source) to someone who does not know the story of your day. We do not use cookie cutter templates so your album looks just like your friend’s. Each page is designed from scratch using your images that you select. We do not use stock background images. 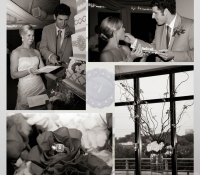 They flowers, cakes, favors, center pieces and details shots are from you wedding. It will tell the story of your special day. Best of all you will see a proof of your main album before it goes to press on a awesome web site. 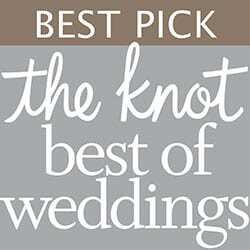 We will complete a design meeting with you 30 days prior to your wedding day. So we can work with you and select the creative styles you desire. WE love this because you are part of the creative team. No two albums are alike. 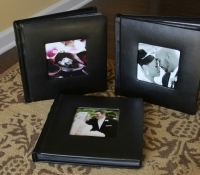 Our story book albums are produced on the finest materials with thick durable pages. Not like the thin magazine pages of “coffee table” books. Best of all we retouch your images! And we do not charge extra! No tan lines, sweat, blemishes, lens glare on family members glasses. Its amazing what we can do with retouching. You will love it! Everything will look perfect! We are one of the few studios that offer free face retouching with no charge on all images in the album. This makes a huge difference. This what makes a good image awesome! Our albums are amazing. Come visit us so Juliet can go through all the details, time and efforts to making your storybook album perfect. Your wedding is a once in a life-time experience; a day filled with love, laughter and tears of joy. You are going to be surrounded by your loved ones and most importantly, getting married to the love of your life. All of these elements create a unique story that is truly yours. Our goal at Juliet Photography is to beautifully create that story into meaningful images that tell an honest story of your wedding day, all while allowing you and your families to experience the day exactly as you have envisioned. We are honored to photograph weddings locally and internationally over the years and we love what we do. *Traditional matted albums are available by request.